Anyways... I was so happy when I opened the package and saw that cute lil bottle filled with some Peridot.. Oh and she even made a lilttle label for it :) How is AWESOME is Maria...... SHE ROCKS!! Chanel Peridot looks so lovely! Nice swap. For my only franken to date I used a half empty & dry polish from a French manicure set by L'Oreal. Aw! That is super cute! 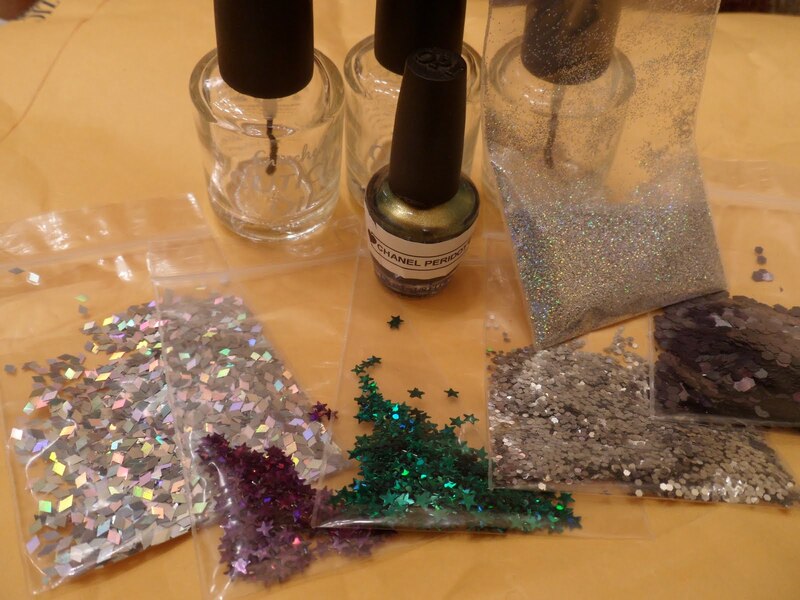 Wow, that is some awesome nail mail! All those franken supplies look sooooo fun! That is such a nice gesture! 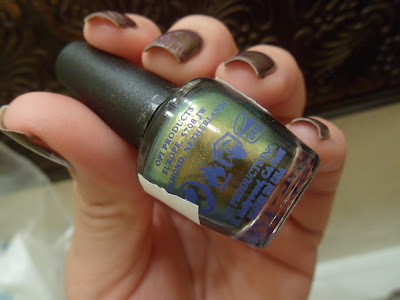 I hope you anjoy your little "sample" of Peridot; it is an amazing polish!! what a great nail mail!!!!! The mini peridot is so cute! I was so sweet from her!! How exactly do you make frankens? 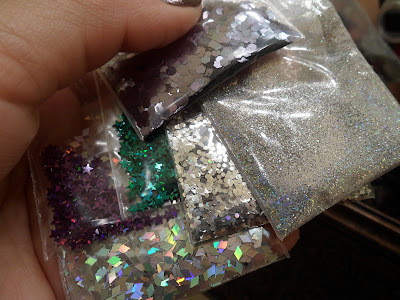 LOL... i wanna try my hand at it, but where do you get the glitter that some people use? ?